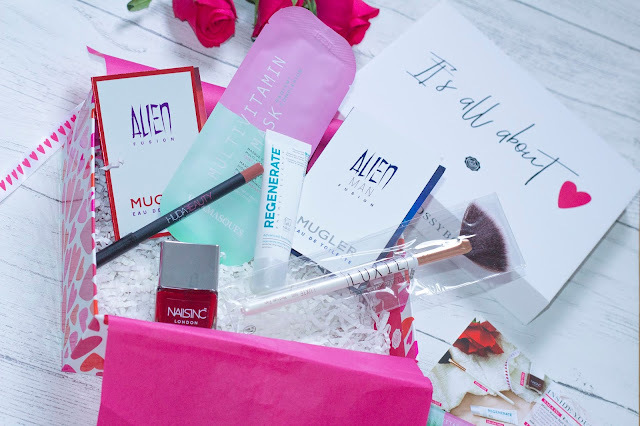 I'm back again with a beaut GlossyBox ! If you read my BeautyBox series and round up you will know GlossyBox impressed me out of them all and I decided to stay subscribed. 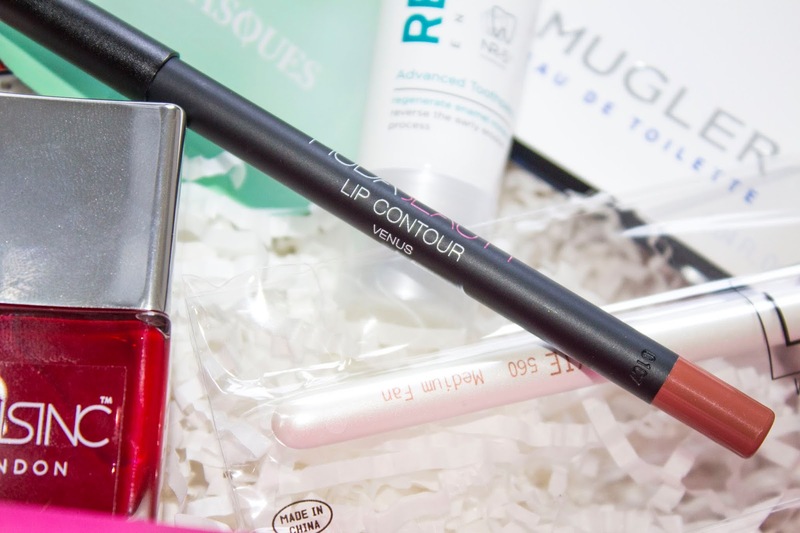 They are back with their February box and have certainly not disappointed this month. A Huda beauty lip liner? NailsInc! I mean I'm just being spoilt now. I was genuinely so shocked and happy when I opened this little gem. I've never owned anything Huda Beauty and am desperate to try out their foundation and eye palettes. I can't wait to wear this lip liner, it will match MAC Velvet Teddy perfectly I think. How gorgeous is this Huda Beauty lip liner in the shade venus ? this is giving me kylie vibes. 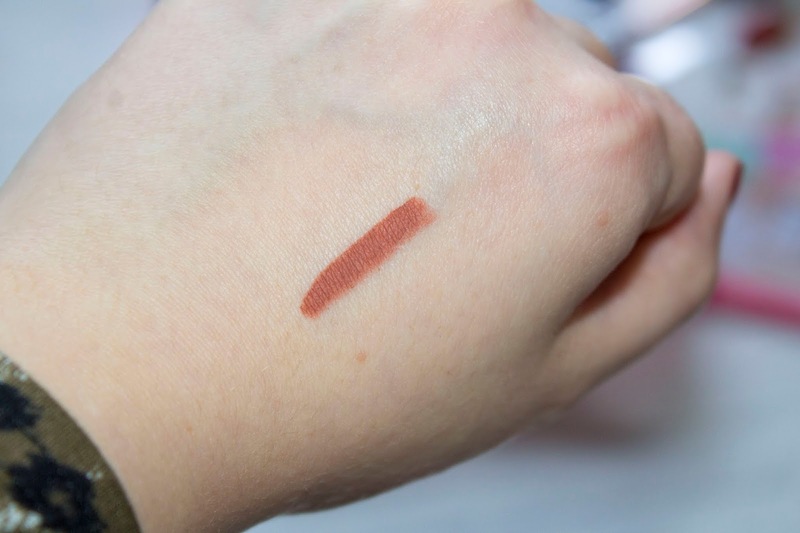 I had swatched this on my hand and done the dishes, went for a shower taken all my make up off and at the end of the night this swatch was still on my hand i was shook. I had to really scrub to get it off so will likely need an oil based make up remover to shift this bad boy from your lips. This is going to be amazing if I need my lip make up to stay put for a long period of time or if going out for a meal I know it will last a decent amount of time before it starts to fade which is amazing. I'm going to look at what other shades they have and buy some more. I can feel an obsession brewing! 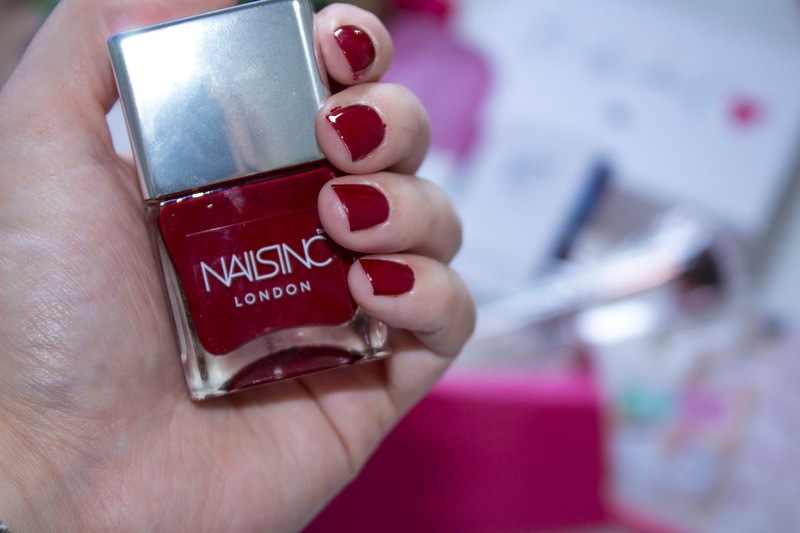 This red nails inc polish in the shade status ready is just beautiful. I would usually go for a brighter red but I love how deep and dark this is, great for going from day to night and very Valentine-esk. I have to say after cleaning the house and putting shopping away it has chipped quite a bit. I used a base and top coat too so a little disappointed but then again I wasn't really being too careful as I'm used to having shellac on which doesn't chip. I will probably use this on my toes but not likely to wear it again on my fingers unless it's just for a night or two. What do you think of this months Glossybox ? Did you get one ? I am definitely still staying subscribed, as soon as I get a box I'm a bit mehh about I usually unsubscribe but it's still pretty much a novelty at this stage getting an email saying your glossybox is due for delivery it's a little surprise present to myself every month and I love it. I think that these look so lovely!